Why Choose - SPEEDCOAT Europe Ltd.
We met Speedcoat Europe at the Caravan Show at the NEC Birmingham in October 2012 and they referred us to their authorised Dealer / Applicator Steve Bonner of Caratec based near Sheffield. He very quickly came out to our location with his very well equipped van and made a superb job of applying the product used by Speedcoat Europe. He took great care in protecting the surrounding area and left the van spotless after finishing the work. We now use the shower with confidence whereas before we hardly dare use it even though the cracks were coated with a sealant. The cost of the Speedcoat repair was a fraction of having a new tray fitted and I am sure the newly coated tray will last many years. I would recommend the process to anyone with similar shower tray problems. I wrote in the ASOC September 2013 newsletter that I had spoken with a company who repaired cracked shower trays by spraying then with a polymer coating. ........ we discovered we had four fine cracks in the shower tray in our caravan all about 150mm (6”) long. Whilst visiting the NEC caravan show we found the Speedcoat Europe Ltd. company and spoke with one of their operatives ................. knowing that I had to attend an ASOC committee meeting in November not far from Leicester we agreed to meet with the operative on a recommended CL where he would carry out the said repair. 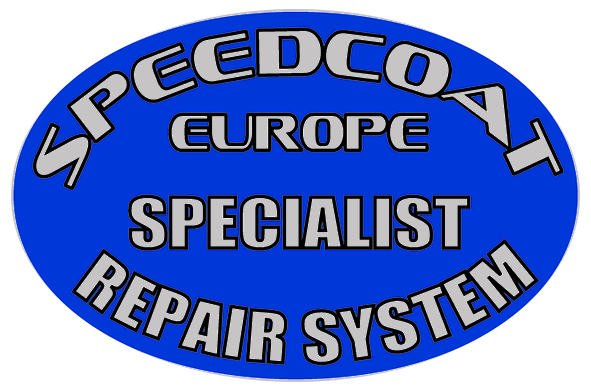 Our man was Neil Jaques who operates as ‘Neil The Caravan Medic’ is an authorised member of the Speedcoat Europe network. Neil agreed to come to the ‘van on Sunday evening and start the repair. He drilled a series of holes across the tray and then injected expanding foam to create a solid support, the void beneath the tray was between 8-1-mm giving rise to the flexing and inevitable cracking. Neil checked the area for movement .............this was left to harden overnight. He arrived again at the agreed hour on Monday morning ........ then started to prepare the tray by abrading the surface, thoroughly cleaning it, followed by a primer ready for the polymer coating. He had very carefully masked off the entire bathroom, the swing door and the living area ....... he applied four coats finishing with a silicone bead to all edges thus stopping any chance of water ingress behind the coating. We are both delighted with the finished job, we now have an non-slip textured surface which is anti-bacterial and guaranteed against mold, mildew and fungi contamination. There would appear to be very few limitations of tray repairs, even where the plughole area has dropped way from the main tray, can usually be repaired. The resulting job would be considerably cheaper than replacing the tray, if a replacement was available !! Like us , we are sure that you will very satisfied. I looked for a long time to find an alternative to fibreglass for a repair to the cracks on both sides of the roof on my caravan. I contacted Speedcoat Europe and was referred to one of their independent operatives close to me who did an excellent job even making a 'feature' of the repair. I fully endorse your product for this sort of repair. The supplier 'washed their hands of the problem' so we contacted a company called Speedcoat Europe who put us in touch with their nearest agent J.M.D (Scotland) in Kirkcaldy. A very helpful chap Frank Dodsley repaired the shower tray and sprayed it with a non-slip coating and honestly it is better than new. A first class job which he says will outlast the vehicle at a fraction of the replacement cost. Click “here” to read more Testimonials. SPEEDCOAT Europe Ltd. exclusively uses the SPEEDLINER EURO HC® (Hygiene Coat) an active anti-bacterial, anti-microbial urethane polymer product which provides a tough, thick, flexible coating and has been independently laboratory tested and verified to outperform most other types of polymer spray-on liner products. A sprayed SPEEDLINER EURO HC® repair creates a seamless, totally waterproof coating and is impervious to normal household cleaning chemicals and detergents. SPEEDCOAT Europe Ltd. offers a selection of stock colours to enhance or compliment existing shower and bathroom areas within the caravan or motorhomes. 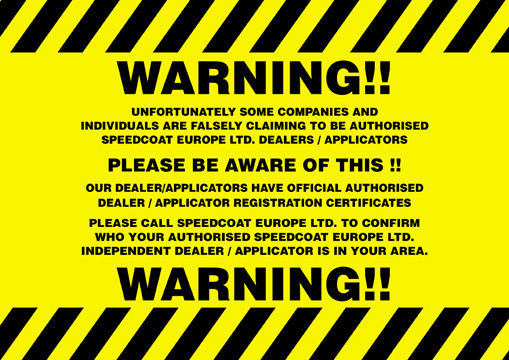 The products used by SPEEDCOAT Europe Ltd. are only sold to trained and authorised SPEEDCOAT Europe Ltd. Dealers / Applicators and are not available for DIY use. SPEEDLINER EURO HC® polymer spray product is independently tested to meet the EEC directive ‘SI1998 / 1376 Plastic Materials in Contact with Food Legislation’. Ultra-Fresh™ compounds are EPA registered and fully compliant with the new European Biocides Products Directive Legislation – BPD.